The city is required to test homes to ensure there’s no lead in water. The city keeps many details about its testing secret, but some records reveal many tests happen at city employees’ homes, while entire neighborhoods go largely untested. The discovery of lead in the water at a San Ysidro elementary school last year frightened parents and residents and ultimately inspired a new state law mandating more testing. Yet when the city of San Diego conducts its own tests for lead in homes across the city, as it’s required to do by law, it has rarely done so in San Ysidro. Indeed, over the past 20 years, the city may have done more tests of its own employees’ homes than it has done in some entire neighborhoods, like San Ysidro, a low-income neighborhood along the border. The city water department said it’s been asking some city employees to test their own homes for lead and copper. Last year, three of the city’s 67 samples came from employees’ homes, but it has not provided information on previous years. When water department employees test their own homes, they are essentially checking to make sure they are doing their jobs correctly, creating a potential conflict of interest. The state’s Division of Drinking Water signed off on this arrangement and the practice is “common” across California, said city water department spokesman Jerry McCormick. Because of that, even though city water officials have done hundreds of samples of homes at risk for leaded water, it’s not clear those samples were either random or representative. Federal regulations have required cities to monitor water for lead and copper since 1992. The federally mandated lead and copper regulations are not meant to say whether a particular home has lead or not, though they also reveal that. Instead, the tests are meant to create a sample of homes across the city to see if public drinking water is corrosive or otherwise unsafe. 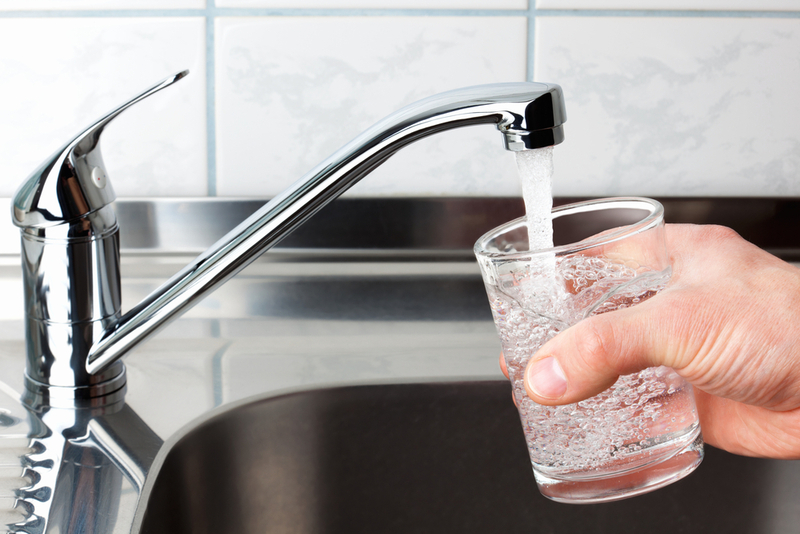 Corrosive water can cause pipes and fixtures to leach lead and copper into the water. Lead, in particular, is unsafe at any level and it is especially damaging to children’s brains. San Diego’s water is generally considered “hard,” meaning it’s unlikely to be particularly corrosive. The city also no longer has any lead pipes that it uses to send water to customers; any lead is on the customer’s side of the water meter. No samples since the early-1990s have found anything to cause citywide worry. Because of that, San Diego is now only required to sample just 50 homes every three years, though in some years it tests more homes to make sure it has enough samples. In other places, at-risk drinking water suppliers that may have to sample more homes more often. But the public has been paying particular attention to lead tests since the public health disaster in Flint, Michigan. And the discovery of leaded water in several area schools prompted new legislation to make sure every school in California gets its water tested. “In 2017, we reached out to additional qualifying residences in our service territory to expand the geographical spacing of the homes for testing,” McCormick said in an email. None of those tests found alarming levels of lead. The “geographic spacing” issue, though, remains noticeable. Even as it tried to diversify, the city still tests clusters of homes in the same neighborhood. Of the handful of tests last year in San Ysidro, four houses were on the same street. The city also tested three homes off a single road near Mission Trails Park and another three homes on another road near the University of San Diego. The city said it has trouble finding volunteers to do the tests, which is why it turns to its own employees in a pinch. The ideal home to test is one built between 1983 and 1986, when lead plumbing was banned. Even though there are tens of thousands of homes built around that time, the city says it’s hard to find some of those homes in areas of the city with old housing stock, like San Ysidro. And, according to city officials, they have trouble finding takers. That’s perhaps because homeowners have to do the samples themselves, which involves not using their water for at least six hours before they draw samples from their taps. Sometimes homeowners will be game to do it one year and then drop out the next time the city asks, or they’ve sold their home or, as happened in 2007, their home burns down and another at-risk house needs to be found. Still, key parts of the program are kept hidden. The city and the state have both repeatedly declined to release the exact addresses of the homes that are being sampled. Instead, they’ve tried only to release the block that a home is on. Officials have cited several reasons for withholding the exact homes they sample, leaning on a rule meant to shield heavy water users from public scrutiny. Another reason officials use to justify keeping test locations shielded is that the results could affect home values if a home was known to have leaded water. In 1992, Congress passed a law that requires renters and homebuyers to be told if their home may have lead paint in it. There is, however, no similar requirement in state or federal law for homes with lead pipe, according to a recent report by the Environmental Defense Fund. “To provide the exact addresses of the homes is to potentially cause an impact on the homeowner’s property values and potentially subject them to unwanted attention,” Kimberly McFarlin Niemeyer, an attorney for the state Water Resources Control Board, said in an email. Because of such logic, the city went through the painstaking process of removing street address information from a series of public records requested by Voice of San Diego. But it accidentally left in information that identified several homeowners and addresses, including a place where a city water department chemist used to live.